The CData API Server provides Salesforce data (along with 80+ other sources) as Web services, which enable connectivity to live data. 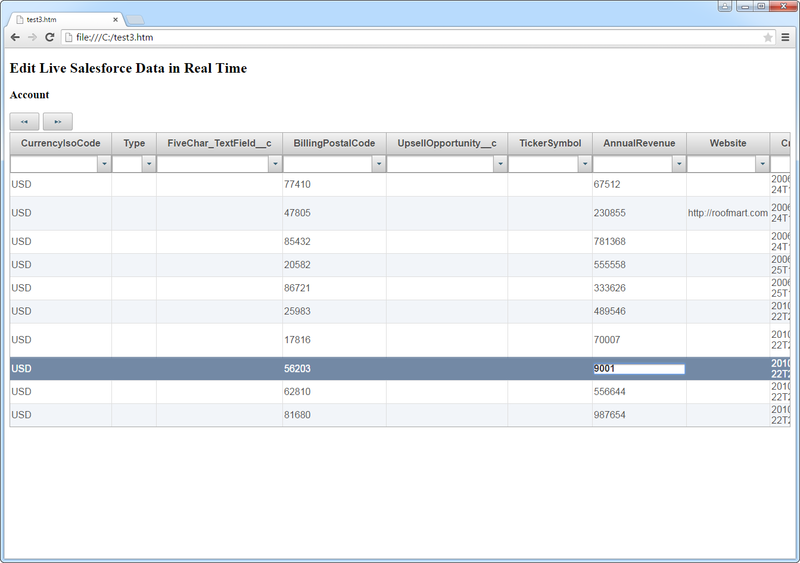 This article shows how to consume JSONP-formatted Salesforce data from a Wijmo Grid. Databind: Below is a simple table with some paging buttons, which you can paste into the body section of your markup. Below is the resulting grid. You can filter, sort, edit, and save. Paging makes working with large datasets manageable.